Create-A-Canvas is a wonderful way in which to capture your favourite photographic images on cotton canvas. These images are then stretched over a wooden framework (hidden behind the image) making them extremely easy to install on any wall, be it in the office boardroom, reception area or home environment. All the images are printed onto high-quality UV resistant cotton canvas - easy to keep clean with little effort. While many know me as a travel writer and blogger with a love affair with all things Thai, some of you may ask why the photographic images here are primarily from Cape Town, South Africa and not so much from Thailand. Simple enough - I live in Cape Town but I choose to write about Thailand. That doesn't stop me from sending photographic cotton canvas prints made in South Africa to buyers in Thailand or anywhere else for that matter. And while my online business may well be about travel information in Thailand, my offline business is all about creating cool looking cotton canvas prints. I'm sure that those of you who have had the pleasure of visiting both South Africa and Thailand will agree that these two travel destinations are some of the best travelling hot spots in which to tour or to live - either way. Living in Cape Town and taking my holidays in Thailand, gives me the best of both worlds. It allows me to create a real product at home while still maintaining my love of writing. Also, it's easier for me to setup a product launch in Cape Town due to the high visitor input I get from my Thailand website. It just seemed better than having to create a separate site just for the photographic cotton canvas prints you see here. Having said that, you are more than welcome to send me an image from anywhere in the world. I can provide photographic images printed on cotton canvas for anyone across the globe and have already sent these products to clients in the UK, the USA, Canada and even places like Bodrum in Turkey. It can be our images or any of your personal photos. For buyers in Cape Town, all prints are stretched onto a wooden framework, while oversea buyers, the prints will be placed into cylindrical containers and shipped anywhere in the world. 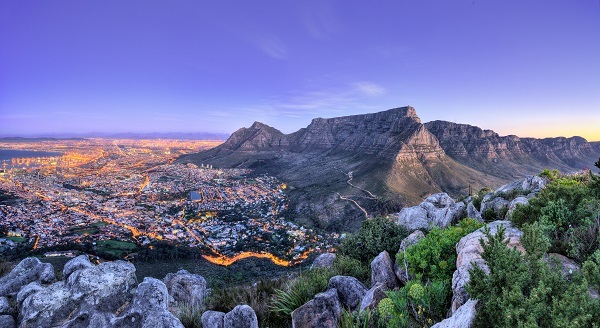 While the South African currency is extremely low at the moment, now is the perfect opportunity for anyone living abroad to purchase one or more of these photographic products. As an example, an image 1m x 600mm is priced at $100 including postage and an image 4m x 1m is priced at $360 including postage. At the same time, both these sizes for buyers in Cape Town would be R1,200 and R4,800 respectfully including stretching and delivery. Overseas buyers would have to cover their own stretching costs. After seeing all the beautiful photographic images on this page, you just might like to take a look at some more of our cotton canvas prints. You'll find a full price list in South African ZAR, US Dollar and Thai Baht.